This light dish is a perfect summer recipe, offering lots of lean protein and fiber. Additionally, this fresh seafood dish takes less than a half hour to make and is full of flavor, vitamins and minerals. Feeling like having a barbecue? Ditch the skillet and grill the zucchini and scallops outside for an even more summer-y flavor! 1. Prepare quinoa as directed on box, replacing water with low-sodium vegetable broth, except cut the recipe in half (use 1/2 C dry quinoa with 1 C low-sodium vegetable broth). 2. Heat 1 tsp olive oil in large skillet over medium heat. Add scallops and top with seasonings (paprika, salt, pepper). Cook approximately 15 minutes, flipping each scallop after about 8 minutes. 3. Heat 1 tsp olive oil in large skillet over medium heat. Add zucchini and sauté until browned, about 7-10 minutes. 4. Add quinoa to skillet with zucchini. Combine and remove from heat. 5. 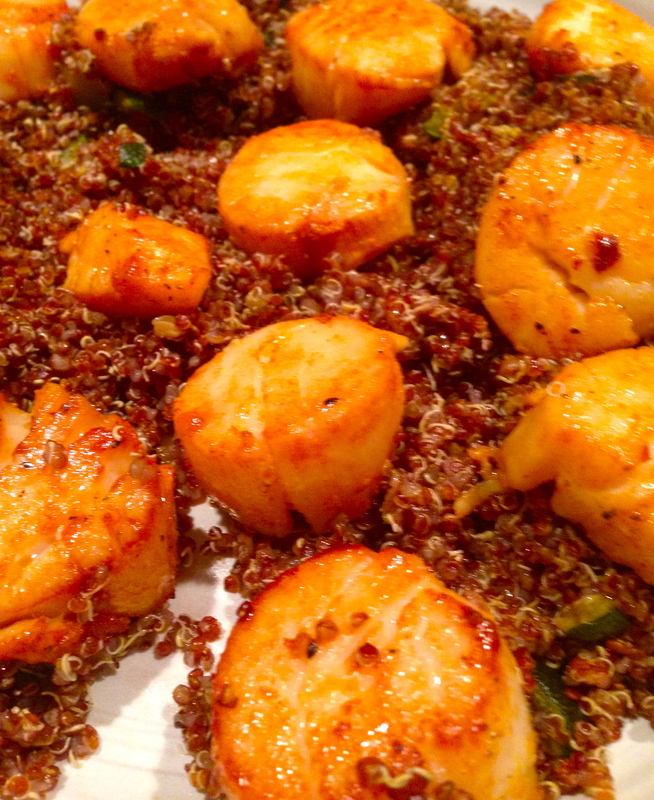 Divide quinoa and zucchini mixture on two plates and place 4 scallops on top of each plate. Enjoy!